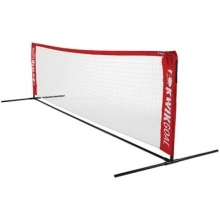 The game’s top players have remarkable speed, agility, and coordination demonstrated through precision passing, incredible ball control, and an uncanny ability to anticipate and react to the opposition’s moves. 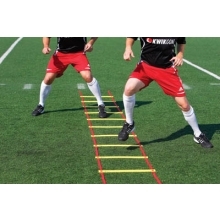 Although the best players can make these skills look easy, each is a result of dedication, commitment, and countless hours of practice.In Elite Soccer Drills, renowned coach Mike Matkovich shares the same drills he has used in developing some of soccer’s premier players. 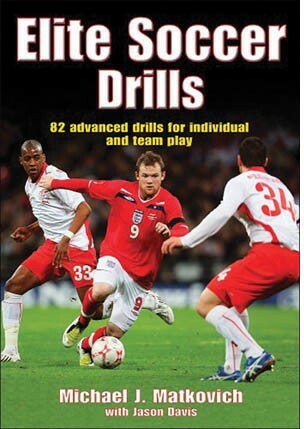 The 82 drills emphasize execution in high-level play while addressing the finer points of passing and receiving, attacking and defending, and heading. 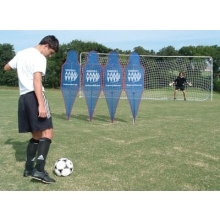 With drills for both individual players and teams, as well as practice tips and coaching suggestions, Elite Soccer Drills is the perfect practice tool for developing the high-level skills and soccer sense players need in order to excel.